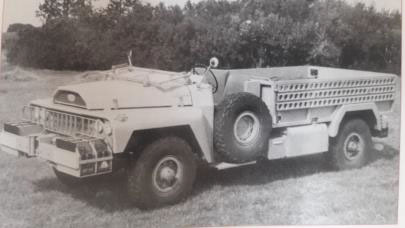 In 1961, the Chief of General Staff of the French Overseas Military Forces launched the study of a tactical vehicle that could be used in desert, Saharan and equatorial theatres of operation. Designed for units in the Sahara, it needed to have a range of 1,000 km without requiring water or fuel and be able to carry either a heavy weapon or an infantry combat unit. The Legueu de Meaux (ALM) workshops improved their first truck model and fitted it with a body designed by the famous coachbuilder Pourtout. The vehicle was presented to the Minister of the Armed Forces on 27 April 1962. He agreed to purchase 5 of the vehicles which were dubbed VCOMs (overseas combat vehicle). Two were tested in Mauritania and two in Chad during the Fennec 1 and 2 missions. The last was delivered to the tank unit of the French Army Engineering Branch which tested its ruggedness on 15,589 km of dirt tracks. Series production began a year later and 193 vehicles were delivered to the foreign legion in Djibouti. 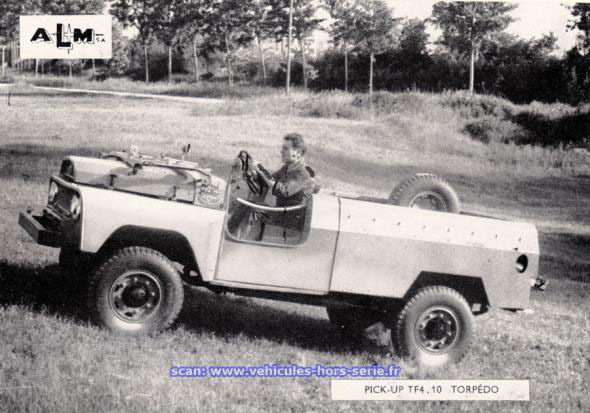 In 1965, the VLRA liaison, reconnaissance and support vehicle replaced the VCOM.